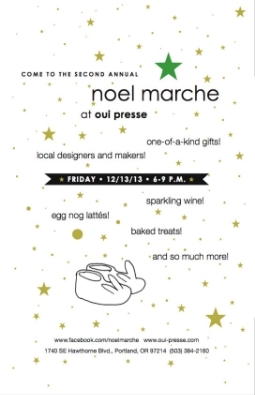 ON FRIDAY DECEMBER 13TH, NEW REFINED BASICS will be participating in a holiday sale Noël Marché at OUI PRESS on SE Hawthorne from 6-9pm. Come by to find some great gifts from a small group of designers and makers and have a glass of wine or some eggnog. Way more fun then the big holiday sales!